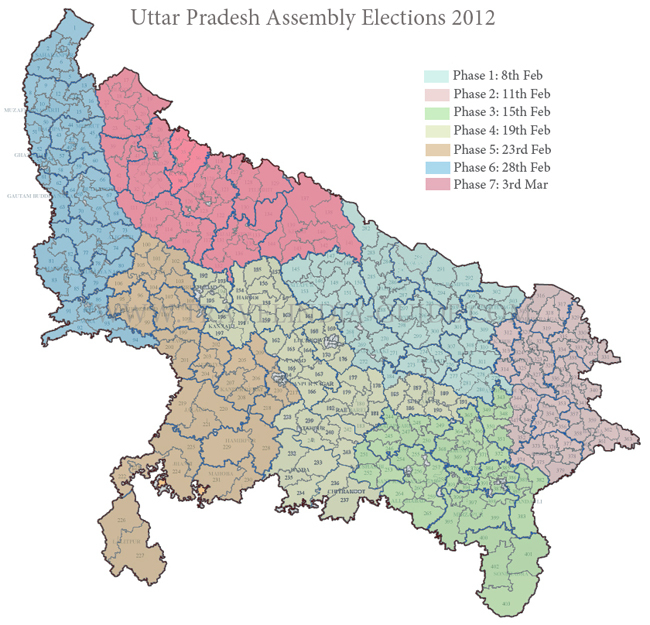 Notification for the fourth phase of Uttar Pradesh Assembly elections was issued, setting in motion the process of filing nominations. The fourth phase would test the fate of several heavyweights including three ministers, 32 sitting MLAs, 12 former ministers, BJP national vice-president Kalraj Mishra and Congress state president Rita Bahuguna Joshi. 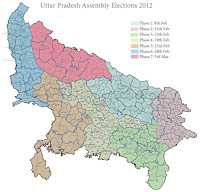 The fourth phase, which would cover 56 of the state's 403 assembly constituencies, spread across Lucknow, Rae Bareli, Farrukhabad, Hardoi, Unnao, Prataprarh, Kannauj, Banda, Chitrakoot and Fatehpur districts, would determine the fate of 32 sitting legislators, three ministers and a dozen former ministers. More than 1.72 crore voters are expected to cast their votes at 18,209 polling booths at 12,821 polling stations where 19,029 electronic voting machines would be used Feb 19. Several important leaders of different political parties are expected to file their nominations.